Did you know that about 30% of people in the world have flat feet, which is called “overpronation” in technical terms; however, most of them don’t even realize that they need some special treatment and, no less important, special shoes both for everyday wear and for cross training classes? Our experts have been keeping up with all sports footwear brands’ updates for 5 years already and have agreed that the tendency of manufacturing the flat feet trainers is growing among the leading sports companies like ASICS, New Balance, Nike, Reebok, Adidas, and Puma, as well as among less famous producers. This shows that people are becoming more aware of the overpronation issue and its significance, looking for the ideal pair of shoes, which offers decent arch support and allows for pain-free, secure movements during the most intense workouts. And the main questions are: “What is the best cross-training shoes for flat feet?” and “How to choose an appropriate pair?” If you’re on this page, definitely you’re wondering too – and we’ve got great news for you! Our team has thoroughly tested and reviewed the latest models of well-known brands, researched their pros and cons in terms of overpronation, and drawn a list of 8 best Cross Training sneakers for flat feet to feel comfy and properly-supported no matter if you’re lifting weights, jogging, doing cardio, jump, or any other activity you like. Wanna find out more? Scroll down and meet the current besties. What Does ‘Flat Foot’ Mean? Why Do You Need Special Training Shoes for Flat Feet? As well as ASICS and Reebok, Nike also has something to offer to treat your flat feet. 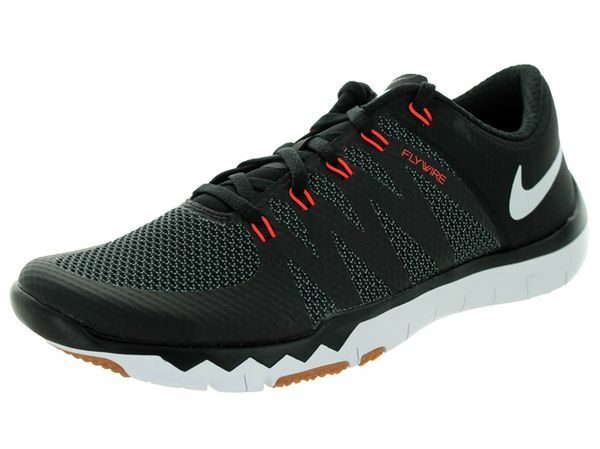 This is the new Nike Free Trainer 5.0 V6 training shoe, which provides a barefoot feel and sufficient stability at the same time. Also, this very lightweight model features a Flywire technology that locks the foot and prevents it from injuries during the lateral movements – the stretchable cables are integrating with the lacing system, hugging the foot from both sides. On the inside, a minimal molded sockliner enhances the effect of a low profile Phylite midsole in terms of the enhanced arch and foot support and shock-absorption. Decent arch support and a lockdown fit. Not true to size (order 0,5 – 1 size bigger). Not built to stand the test of time. The most economical sneaker from our top-8 cross training shoes for flat feet list, PUMA Tazon 6 Cross-Training Shoe is second to none on this list in terms of quality, comfort, and support. However, it is a bit heavier than the previous models. Ideal arch support, a strong ‘midfoot saddle’, EVA heel pod for cushioning and shock absorption, and a Softfoam insole for soft feel under the foot leave no doubt that the sixth generation of PUMA Tazon is arguably one of the best resolutions for Crossfit, running, and walking around even if there are some problems with feet! Top notch quality, sleek design in basic colorways, secure and stable fit along with the right amount of cushioning – what else do you need to fall in love with your cross trainers? The high quality of the materials. Fantastic cushioning and in-shoe feel. The latest Nanos, representatives of the famous Reebok CrossFit line, are really good for people with low arch support. The Reebok Crossfit Nano 7.0 Cross-Trainer shoe has a removable insole which helps lift and support the arches while training. Besides, all materials and technologies (like NanoWeave), used in this model guarantee a light weight of the shoe, without sacrificing its durability and performance. For flat feet, the Reebok Nano 7.0 has to offer plenty of cushioning across the entire length of the foot that helps to alleviate the pressure, distributing it evenly. As a result, we get an incredibly comfortable and anatomically secure fit for athletes with feet issues. Comfortable wide toe box – a great update for feet with issues. 360-degree TPU heel wrap and reinforced heel clip for a secure locked-in feel. Incredible traction and natural flexibility due to the crystallized rubber outsole. Outstanding external design and a great variety of bright and casual colorways for men and women. Overly padded tongue partially blocks ventilation. New and unique midsole support system, inspired by the ASICS’ running shoes collection, is the key characteristic that makes the ASICS Gel Intensity 3 an ideal choice for flat feet. Thanks to Fluid Ride and FluidAxis technologies, the shoe provides cushioning, protection, and doesn’t sacrifice flexibility at the same time – this combo gives flat-footed sportspeople the support they need to prevent pronation and pain. The model is offered in a huge variety of colorways, and the prices also range due to the external design of the ASICS Gel Intensity 3. Wanna treat your flat feet in a stylish way and get a pair of cross training shoes that can handle a diversity of physical workouts? Think no more – the ASICS Gel Intensity 3 is exactly what you need. Super versatile (CrossFit, plyometrics, weightlifting). Fashionable external design with a big choice of color schemes. Sturdy and supportive underfoot platform. Personal Heel Fit collar lining for a customized fit. A mixture of responsive SpEVA foam and shock-absorbing GEL cushioning makes the heel-to-toe transitions smoother. AHAR outsole for durability and traction. Trusstic System reinforces the arch area to boost the sturdiness of the shoe and prevent twisting. The shoe fits a bit narrow. Lacks stability on heavy lifts. Runs a half size smaller. Despite the New Balance 1260v6 technically is a running shoe, after testing this model we concluded that it’s also a perfect option for cross training too, especially for people who have low arches and tend to flat feet. You’ll never feel weighed down by these shoes when you work out or walk around as they’re made of the most lightweight materials, including mesh upper and dual density midsole. Moreover, the FantomFit upper of this sneaker is seamless that allows for even higher level of comfort when wearing them. The New Balance 1260v6 pronation-minded running shoe also features stabilizing Abzorb Crash Pad and Acteva Lite foam in the midsole, which allows this shoe to step off the treadmill and take your cross-training up to the next level of performance and security. The toe box is wide enough. Good both for running and CrossFit. Not true to size (run 0,5 size smaller). The material on the inner heel section can rub against the skin. This fourth version of your favorite multipurpose ASICS Gel-Craze, available in men’s and women’s colorways, is able to meet all requirements people with overpronation have. The best ASICS technologies like FluidRide and FluidAxis systems, AHAR outsole, rearfoot GEL cushioning, Solyte midsole material are built into the shoe. They offer exceptional cushioning, flexibility, protection and midsole support, which are the essentials for flat feet, especially during the exhausting training to avoid pronation and pain. 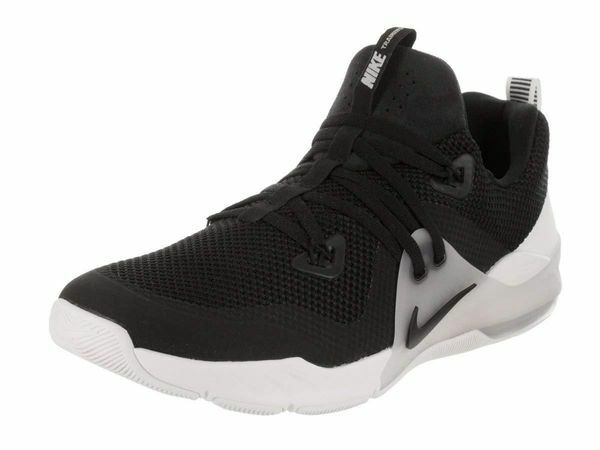 Besides, the sneaker features a lightweight breathable upper for moisture management, profusely padded tongue and collar for comfy in-shoe feel, and supportive logo overlay on the sides of the trainer for “hold ability” to keep the feet, ankles, and knees safe. In other words, the ASICS Gel-Craze TR 4 Cross-Trainer Shoe is perfect for women and men with flat feet who want one versatile trainer for different gym practices from weightlifting to cardio. Approved by the American Podiatry Association. The fluid axis for flexibility and protection from pronation. Lateral movements’ stability and security. Not true to size (run small). Not durable enough, especially in the toe area. Besides offering an ideal fit and support for people with flat feet, Nike Metcon Repper DSX has another win-win feature: it’s versatile like no other Nike’s shoes. The Reppers are great in terms of flexibility and comfort unlike the famous Metcon 3, they also beat the DSX Flyknits in terms of stability. Moreover, these cool shoes, released in 2017, have an attractive external design, lightweight and breathable construction, and surprisingly are the budget models. Nike Metcon Repper DSX has performed as an all-around training shoe for flat feet and low arches, that doesn’t cost a fortune and guarantees you a safe injury-free cross-training experience. Semi-curved design mimics the natural shape of the human foot. Flex grooves in the forefoot facilitate movement. Flat heel part provides stability while lifting weights. Lightweight and breathable upper construction. Flat laces & Flywire cables keep the foot in a secure position. Thermoplastic polyurethane overlays for durability and support. Issues with the durability of the upper. A break-in period is required. Released in September 2017, the Nike Zoom Train Command managed to become a favorite choice of flat-footed athletes. This stable cross trainers for flat feet is highly-recommended for use during high-intensity workouts like CrossFit. The shoe has a very lightweight and breathable nature – it doesn’t weigh you down when you jump or run and manages the moisture to avoid sweating and odor. The Nike Zoom Train Command looks dope and its stylish aesthetics also invests in popularity of this awesome sneaker for cross training. Supportive and steady sole unit. Super lightweight, flexible, and breathable upper. The snug fit of the internal sleeve. Nike Zoom Air for a lightweight cushioning. TPU wrap enhances the steadiness provided by the upper. Flywire technology for a customized fit and a locked-down feel. Unsteady during weight training and HIIT. The bootie construction can cause difficulties with tightening the fit fully. Our feet have natural shock-absorbers – the curved arches – they cushion the impact from the knees, ankles, and feet when you do exercises, run, or just walk. In technical terms, a flat foot is a collapse of this very arch, which can be visually distinguished when the whole or most of the sole is in contact with the ground. Such deformation can be present in only one or both feet, be inborn, or acquired as a result of injuries, diseases, continuous foot stress, aging processes. You may obviously think of this diagnosis as something minor. But, unfortunately, this opinion is mistaken. Wanna know more? Keep reading! Often, overpronation doesn’t shout out “Hey, I’m here! You need to treat me!”, as the symptoms which may appear are not considered as a sign of any health problem. Yes, everyone has some pains in the knees and feet, especially after an active training, however, when it lasts for a rather long time and happens regularly, be alert! Prompt fatigability when walking or standing. The feeling of heaviness in the legs. Swelling at the end of the day. Thumb bone issue, heel spurs, corns, and calluses. You’ve got difficulties with wearing heels. You can do it by yourself at home with a simple Wet Foot Test. All you need is to wet your feet and stand on a piece of heavy paper. After that, examine your footprint: a void between the heel and ball of your foot shows that you have a high or normal arch; a full footprint from toe to heel means your feet are flat. Healthy feet give us support, balance, amortization, and reduce the load on the musculoskeletal system as a whole. When the feet are flat, they can’t spring when walking, which leads to the excessive pressure on the joints of the legs and spine. Oftentimes, the overpronating foot turns inwards too much, causing discomfort and even pains, as well as increases the risk of injury during training. The changes in the structure of the foot also affect the knee joints, the proper distribution of load, gait, and posture. Pain, shooting up from the foot to waist, sore feet after a walk or run can be the result of this problem too. Sometimes, people with flat feet find it hard to move smoothly, and normal shoes feel a bit uneven. As you already know, flat feet are much more prone to injuries and muscular stress due to lack of arch cushioning. In order to compensate this, it’s essential to wear special cross-training footwear, as consequences of an unsupported flat foot can be really deplorable. Without the proper arch support, it causes your ankles to turn inward (supination) or outward (pronation). Sometimes, right and left feet have different kinds of deformation and the result is the curvature of the spine. The same is true for other arch issues. That’s why each of us should take extra care in choosing the right pair of shoes to support and match our foot anatomy, no matter if we’re walking, running, playing basketball, or lifting weights. For any type of cross-training, team sports, and cardio workouts, choose the shoes, able to lift your natural arch up just like the floor has been lifted to meet your feet. Proper medial arch support helps to distribute the weight across the feet, preventing discomfort, injuries, and pain. As CrossFit training includes a variety of side-to-side lateral movements, jumps, and twists, you can hardly feel secure and comfy in sneakers, which can’t give you that lateral support. In order to provide your flat feet with perfect cushioning and support, the soles of the cross-trainer should be thick enough. The outsole material, in turn, should allow for good grip and traction on the variety of surfaces. The correct size is the synonym of the ideal cross-training shoes. Unfortunately, it’s really hard to get the right-sized sneakers, especially online, as standard sizes are not standard anymore. The issue with not-true-to-size footwear is crucial today, so the best way to find the perfect pair is to try them on, or at least, measure the length and width of your foot before purchasing the sneaker. Lace them up as you normally do – not too loose and not too tight. Now try to slip your foot out of your boot: if the size is right, you’ll do it almost effortless; if not – the pair is small and will probably rub and cause discomfort. Avoid forgeries, opting for sellers with a good reputation and reliable return policies. Cross trainers are meant to be stable, and for flat feet, they must be even twice more stable to provide sufficient support, balance, stabilizing the foot in the most efficient manner. Pay attention to a solid heel cup, which is one of the best stabilizers can be found in CrossFit shoes. Shoes, offering sufficient shock absorption and protection usually base on a solid thick midsole, made of special foam material, which differs in all brands. Feeling safety and freedom of each motion is the best characteristic of the perfect shoe for cross-training. When looking for a multi-directional flexible design, pay attention to the proper placement of flexible zones (or flexion points) as because too much flexing can also be dangerous, especially for flat foot. To check where the shoe bends, try the “shoe pushup test”, offered by Stephen M.Pribut, a past president of the American Academy of Podiatric Sports Medicine (AAPSM). Or its alternative – the “shoe pushdown test” – demonstrated in the pictures above. All you need is to press the shoe at a 45° or more onto a countertop – the only place it should bend at is the ball of the shoe. If the sneaker bends in some places of the sole like in the second picture, it is definitely not suitable for an overpronated foot. Don’t let your shoes weight you down, vice versa – opt for those able to make you fly at the gym during the most exhausting training. In weightless shoes, made of light (but quality!) materials, your feet won’t get tired as early as they do in those bulky sneakers from the sale. The breathable shoe will encourage more air flow, preventing you from sweating, bad odor, and moisture, which feels really uncomfy and is definitely unhealthy. The narrow toe box is an issue of some Reebok and Nike models. It causes discomfort, disturbs your training, and most importantly, steals the space required to maintain a proper resistance and natural gait. However, the too wide toe box is also a problem, as it can cause slipping – a bad thing both for healthy and flat feet. The high quality of the materials and technologies in the sneaker is the key to effective CrossFit training. Only the durable one can keep up with repeated, long and regular use – so better pay a little more than usual to get much more than ever. Always! Check if the original insoles are removable or not. Even if they’re high quality and offer a lot of arch support and cushioning, over time, they’re gonna lose those qualities so that you’ll need to replace them with the new orthotics to give a new life to your favorite cross-training shoes. There are lots of different orthotics and often it’s really hard to choose the right insole. So, maybe, the wisest alternative would be to consult a podiatrist and have a personal orthotics made for you. Remember that the feet tend to change constantly, so the insole should be updated once in two years or even more often. Purchase your perfect pair of cross training shoes for flat feet in the evening, when the feet are swollen up a bit, as the sneakers bought in the morning can feel tight when you start working out. Look for shoes with sufficient support, cushioning, stability for lateral movements, turns, jumps, and squats – a versatile pair able to enhance your performance in the gym, without sacrificing the security of every single step you take. Follow our tips and check the top 5 cross-training shoes for flat feet from the leading world brands again to find your perfect trainers.